ShelterBox has now used the full range of its aid in its Nepal earthquake response – ShelterBox tents as medical facilities, ShelterKits to get aid swiftly to mountain villages, and now SchoolBoxes to bring some sense of recovery and normality to children in Kathmandu. In the early days after the first 7.8 magnitude earthquake on April 25, ShelterBox tents were used as medical facilities outside damaged city hospitals, or as field hospitals in the foothills. Then a steady flow of ShelterKits – containing tools and waterproof tarpaulins – were the ideal choice for helping remote mountain communities to start rebuilding their homes. Over 15,000 people in Nepal have received ShelterBox aid so far. Now, an initiative by the new Rotary Club of Bhadgaon in the Kathmandu Valley is focused on children in need with their massive project of supporting over 200 orphanages across the area. 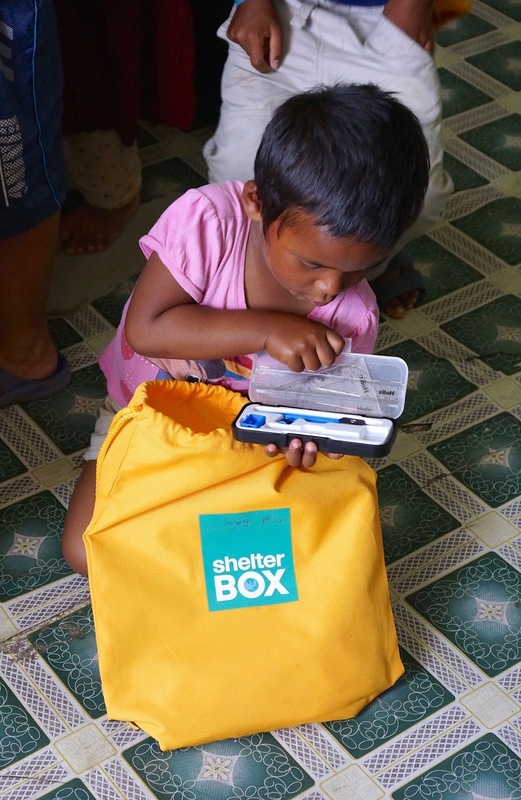 A ShelterBox Response Team (SRT) - Tim Osburn from the US, Jimmy Griffith from NZ, Torstein Nielsen from Norway and Jessica Kim from Canada - have helped to source and deliver SchoolBoxes containing enough school materials for up to 450 children. Each orphanage looks after between 25 and 50 children up to the age of 18. The Rotarians have also brought in psychiatrists to help children traumatised by the quakes and ongoing aftershocks. In another initiative, a ShelterBox tent has provided an adaptable space for a local children’s art therapy organisation in Balaju Park in Kathmandu. This has created a fun, friendly environment where children can overcome the trauma of the earthquakes. It provides them with a place to play, sing, dance and draw, where they can receive one-on-one therapy too. It will also be used to train counsellors and volunteers committed to helping children overcome their experiences. Are we really good Samaritans?